So this week my favourite theatre show made a return to the WestEnd and of course I popped along to watch it. I've seen the show many times both on tour and also on both its runs in the WestEnd but I've waited a long time for it to make a return for a stay in London. 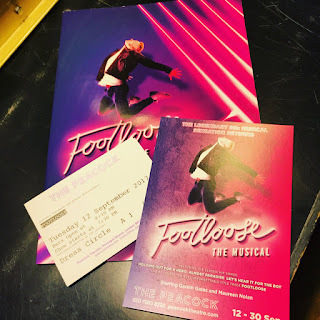 This was my first visit to the Peacock Theatre and it was lovely, all the staff were great and the theatre itself I really felt suited the show. The theatre is a short walk from Holborn and also Charing Cross stations. Bit of Footloose history Its first WestEnd run was just around the corner where Mamma Mia is now at the Novello Theatre. 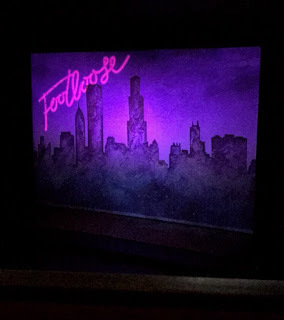 The show was 5star from start to finish the whole cast on this tour are all incredible - playing instruments, singing, dancing, acting also in some cases even roller skating whilst doing the above I literally take my hat off to all of them for an incredible show. The energy from the show I saw on my visit to Wimbledon earlier this year is still there but there is something special having it back in London. I really hope this can be a longer stint as its long over due a run back in London especially with this amazing cast.